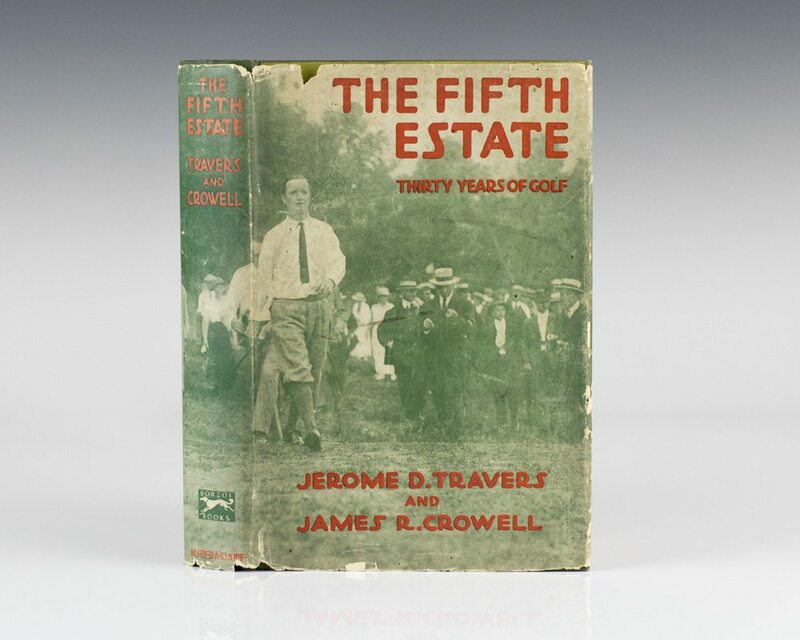 The Fifth Estate: Thirty Years of Golf. New York: Alfred A. Knopf, 1926. First edition. Octavo, original illustrated cloth. An excellent example in the rare dust jacket with some small chips and tears. Illustrated with plates from photographs. “Although he was of slight stature, Travers dominated golf in the decade before World War I with his stunning iron shots and expert putting. He won many tournaments because of his calm temperament, patience, and ability to make precise shots… He won the United States Amateur in 1907, 1908, 1912, and 1913, and was runner-up in 1914. His victory in 1913 set a record for that tournament—not broken until Bobby Jones won it five times… He was among the first members of the Golf Hall of Fame established by the United States Golf Association” (DAB).